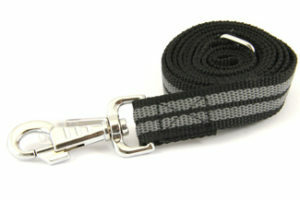 Nylon leash with reflective stripes. Color: purple. 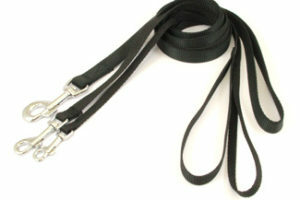 Widths: 15mm, 20mm and 25mm. 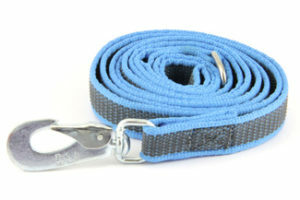 Length: 140cm. 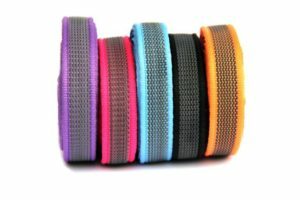 The “City Style” series is made of soft, bright and strong nylon with reflective stripes. 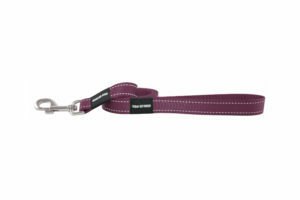 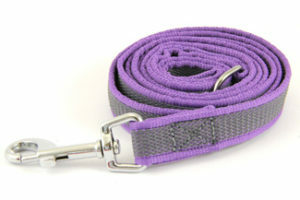 Leashes are available in three different widths: 15mm, 20mm and 25mm. 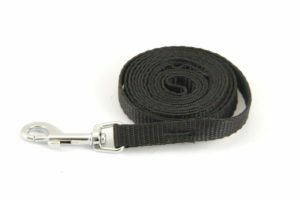 The length of the lead is 140cm. 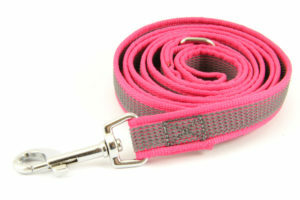 Goes well with same brand collars and half-chokes. 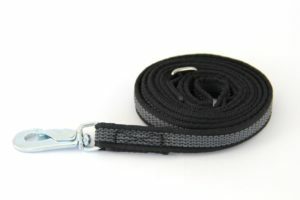 There is a plastic ring near the handle where you can put poo-bag dispenser or attach the snap hook to the ring and let your hands free when you let your dog run off the leash. 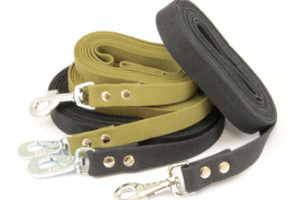 These leashes are machine washable.